DUG Insight User ManualFrequently Asked QuestionsFrequently Asked Questions HorizonsHow do I pick events on absolute impedance and other non-zero mean data? From the Volume tab, load impedance or velocity volume (continuous, non-zero mean data). Go to the Process tab and apply a Bandpass Process to remove the low-frequency signal. 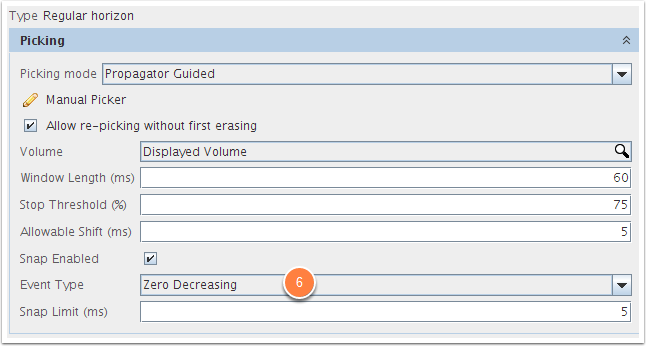 Select the impedance or velocity volume in the Volume search box. Go to the Horizon tab and pick a new horizon. In the horizon picking settings, choose the appropriate event type. In this example, Zero Decreasing was used to identify this top-sand. 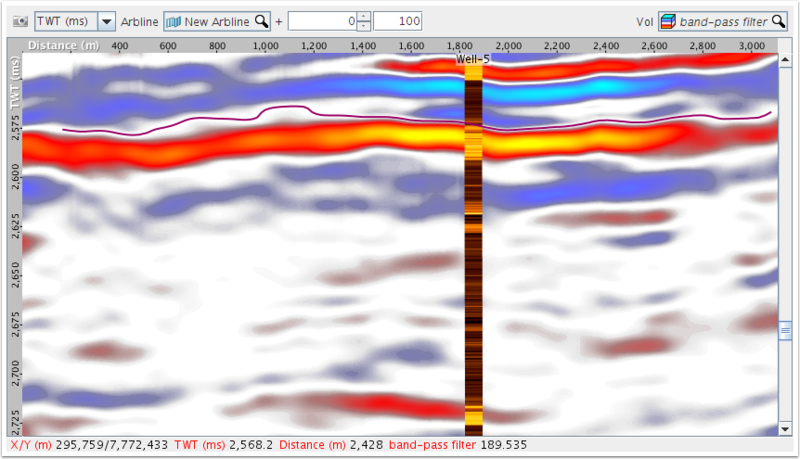 Arbline showing Horizon Picked on Band-limited P-Impedance. Prev: How do I dynamically update an Isochron Map? 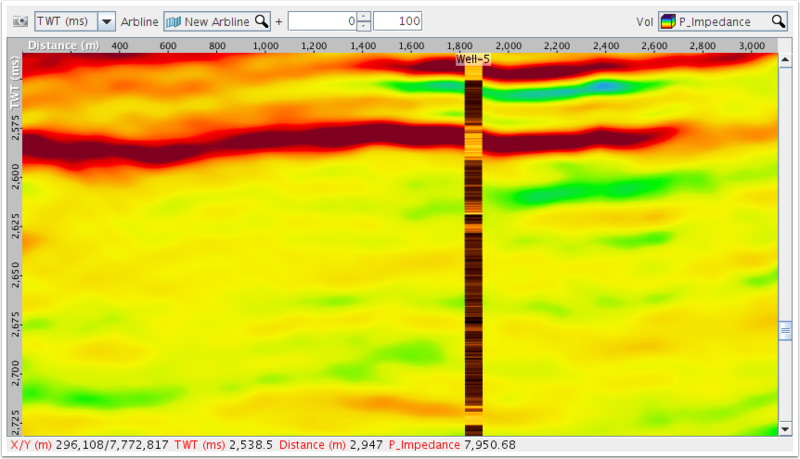 Next: How do I export a time-slice as an X, Y, Amplitude map?